Fuel cells are devices that fuse hydrogen and oxygen electrochemically to produce heat, electricity and water. Unlike conventional batteries, fuel cells are able to generate power continuously as long as source fuel is supplied. Fuel cell is a green technology which do not burn fuel and up to three times more efficient than combustion technologies. Fuel cell system is a zero emission technology to produce electricity when hydrogen is produced from non-polluting sources. In 2015, more than 60,000 fuel cells were shipped across the globe, totaling power over 300 MW. The total megawatts (MW) shipped across the world significantly increased by 65% over 2014. Global fuel cell market growth could be attributed to several factors, such as growth in transportation and logistics sector. Several public utilities in U.S and in South Korea are installing high power, large-scale fuel cell parks. Major manufacturers of U.S such as Fuel Cell energy are exporting multi-megawatt fuel systems to South Korea, accounting for increase in shipments by 20% in 2015. In Japan, continuous growing sale of Ene-Farm residential fuel cell system, also contributing to growth of global fuel cell market. Global fuel cell market is also growing on the back of expansion of transportation sector, fuel cell vehicles were just started to enter the market in 2015 in California, parts of Europe and Japan. In U.S., fuel cell bus deployments and growth in material handling equipments (MHE), account for the growth of fuel cell shipments for transportation applications. Growing environmental concerns and favorable incentives from government of several countries across the world for the development and adoption of fuel cell vehicle is one of the major growth factor for global fuel cell market. U.S. Environmental Protection agency (EPA) regulations to curb the green house gases and policies like Clean Air Act may shift the focus of automotive manufacturers towards fuel cell technology over conventional sources to reduce carbon monoxide emission. Hyundai and Daimler are some major players in fuel cell electric vehicles (FCEV) market. Government of South Korea and Japan also providing subsidies up to USD 20,000 for purchasing of fuel cell electric vehicles. Major market player are adopting business strategies to expand their business through mergers with other business or by acquisitions. In 2015, major players such as Canada-based Ballard Power Systems acquired U.S. based Protonex Technology Corp. in 2015. NEL ASA, Norway based clean fuel energy company, acquired a Denmark-based hydrogen refueling stations manufacturer for USD 65.7 Million in 2015. Also, some companies expanded their businesses operation in the past few years. For instance, fuel cell developer PowerCell based in Sweden established a new branch in Germany, fuel cell manufacturer FuelCell Energy expanding its business that will increase the supply of fuel cells into the European market and manufacturing capacity. Developing infrastructure in various countries to provide hydrogen filling facilities for public is expected to raise the demand for fuel cell powered vehicles. The numbers of hydrogen stations are increasing significantly across the globe, reached more than 54 new hydrogen stations opened in 2015. Japan lead the way with more than 28 new fuel stations, Europe with 19 and 7 hydrogen station in United States. In 2016, 64 new hydrogen filling stations were opened in Europe with 34 of those located in Germany. However, high initial investments and high cost of fuel cell electric vehicles are expected to hinder the growth of global fuel cell market. The global fuel cell market accounted for USD 2.5 billion in 2015 owing to increased shipments across the globe and rising market of fuel cell powered electric vehicles. Global fuel cell market is projected to expand at a compound annual growth rate of 18% over the forecast period i.e. 2016-2024 and expected to reach USD 9.4 billion by the end of 2024. North-America fuel cell market dominated the global fuel cell market with more than 50% revenue share in 2015. Fuel cell manufacturers in North-America shipped fuel cell more than 150 MW across the globe, accounting 30% more than shipments from Europe and Asia-Pacific. Apart from large-scale stationary fuel cell systems, shipments also include fuel cell units for telecommunication backup systems and material handling equipments, exported to Korea, Japan, and some other countries. 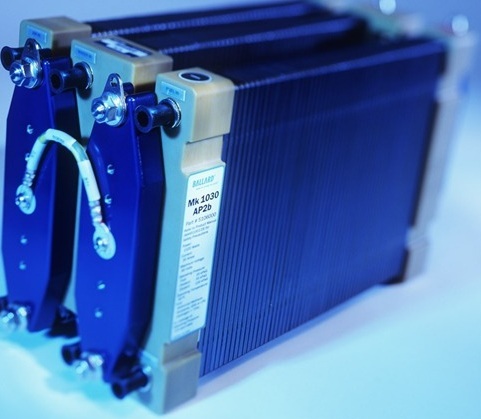 North-America is closely followed by the Asia-Pacific region with more than 35% market share in global fuel cell market. In 2015, Asian shipments also witnessed significant growth with more than 100 MW shipments in 2015. The growth is attributed to the growing shipments of electric fuel cell vehicles of Toyota and Hyundai, coupled with stationary fuel cell systems from Japan and Korea. Europe is also expected to achieve significant growth on the back of growing sales of fuel cell powered electric vehicles, with major share of Germany in the region. For a detailed overview, send us sample request.